The medicinewheel is a powerspot, a magic place to learn and to teach. It gives us impulse to change our particular and joint experiences into personal growth. It shows us the circle of life and consists of 36 stones. The form reminds us of a wheel in which the spokes go to a second circle. Every stone has a certain place and stands for powers of the spiritual or material world, for instance Creator, Mother Earth, the elements, the 4 directions, living beings or qualities. The earliest medicinewheels date back up to 5000 years and are still found all over the world. Sun Bear, an Ojibway medicine man, was told that time has come to bring back the medicinewheels as places of healing for the earth and the people. Since 1992 more than 2000 people gathered in Germany to follow this call. In the meantime many alternative projects exist all over the world where people walk a path of respect and healing for the Earth mother. 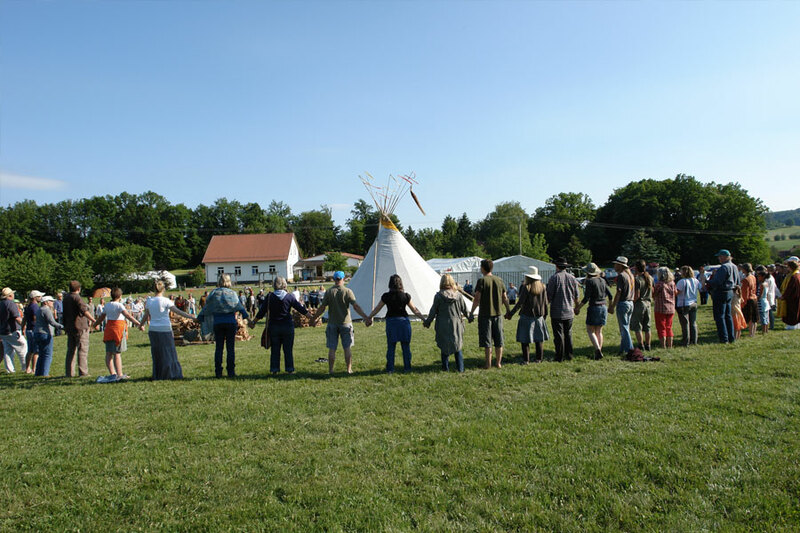 In ceremonies, workshops and lectures we will experience native american, european and other traditions, roots and paths together with the teachers and set an impulse of healing.